I had a blast in Seabeck, Washington in October. 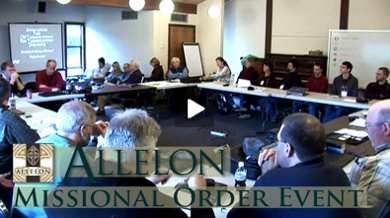 Allelon have just uploaded a video that captures the spirit of our Missional Order Event. Good job Bill! There are quite a few familiar bloggers in the group also and you can see what they look like. Thanks for the shout out, Andrew. And for your kind words. web site looks great, bill! nice redecorating. Andrew, just wanted to drop a note and say thanks again. It was great to be with you. I am hoping to come and vist you in 08. Keep me posted when your out in the states.